I’ve been waiting for this moment for so long and now I’m missing the words. So, I leave it to Bruce Silver to advertise our book which you can pre-order now at Amazon. 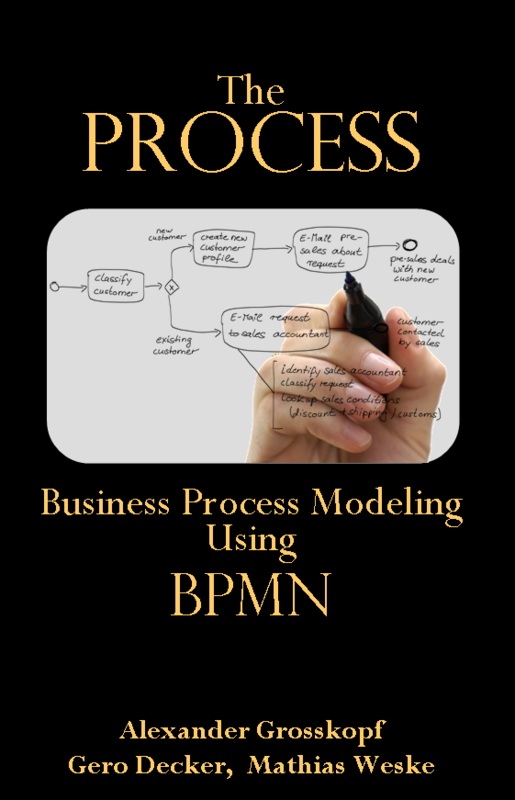 The authors teach the key points of BPMN modeling using an unfolding business scenario, presented in an engaging dialogue between the modeler, process participants, and the CEO. 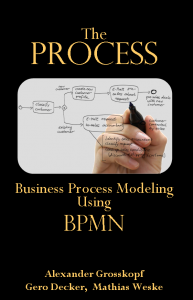 By putting BPMN in a business context, the book will be of great value to those new to process modeling, especially business people who will be asked to contribute input, even though they are not actually doing the modeling.—Bruce Silver, Principal, Bruce Silver Associates. So finally the book arrived! After reading the first 50 pages it seems very good! First it was strange to experience the setting of the “story” but I think it is very good! Thank you for the experience! We now have a promo video on youtube. Your video is a bit basic and needs a good push – you need to promote it on forums – however a video may not be the best way for you. Congratulations for posting such a useful blog. Your blog is not only informative but also very artistic too. There usually are very few individuals who can write not so easy articles that creatively. Keep up the great work ! !